undesirable Kitty! he's doing this because of the fact your computing device is heat. attempt getting an electric powered heating pad and putting it in his mattress below a blanket. Heating pads are no longer that costly and basic to locate at maximum drug shops. while he realizes his mattress is heat too, and lots greater snug, he could desire to start drowsing there somewhat of on dazzling of your difficult computing device. additionally attempt putting some thing on dazzling of your computing device which will divert him from desiring to sleep there. An previous trick to maintain cats off of counters is to place out aluminum pie pans with some thing noisy interior, at the same time with funds or keys, so as that if the cat jumps up and disturbs the pan, it will make all forms of noise and scare the cat away. See if that works on your computing device. Like many others have suggested, I additionally leave the reveal at an perspective, no longer closed each and each of how, and my cats leave the computing device on my own. First it's warm and second the cat smells you on it & is fond of you. Maybe your cat is enjoying a "keyboard massage" ! 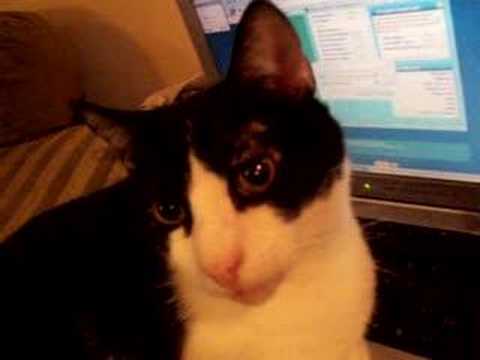 You use your laptop to send a message (email), but your cat uses it to have a massage. Is it possible to train for a 12k in 3 weeks?